Celtic Connections glitterati treat us to a night of traditional Scottish music, avoiding the obvious fact that “Scottish Music” should now probably just be a comedy kazoo. Instrumental Rock of the Apocalypse from Leeds with support from Glasgow's Bishop. Our quest to bring epic nostalgia back in the form of all things MTV2 (pre-trash) and 120 Minutes continues. Welcome to the best Indie Disco in Glasgow. 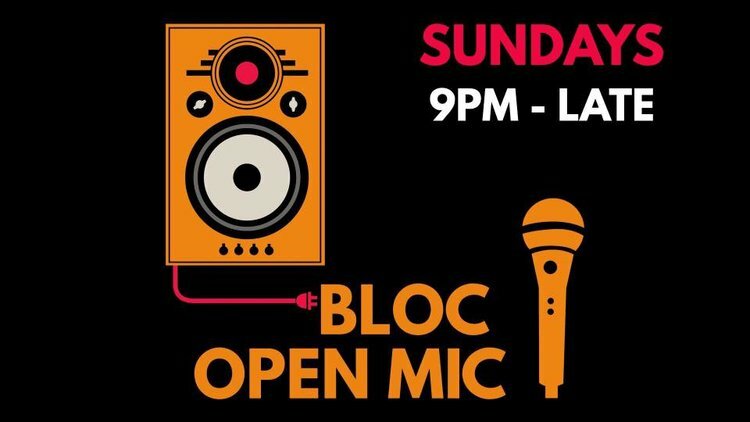 For the last few years Bloc+ has been running one of Glasgow's most popular and consistently high-quality open mic nights, thanks largely to Jamie Sturt and friends, not to mention our incredibly gifted and facially pleasing clientele. The gear is all ready to go so, if you're fed up spending Sunday nights with your Monday night fear, then head on down! Stretched is Glasgow's most innovative night and it returns this month with the brain child of saxophonist and composer Martin Fell, Eye Blossom.